UPDATE: This October 16th Brother XII Followers Presentation is now full! Thank you to all who purchased tickets! We’re looking forward to seeing you at the museum! 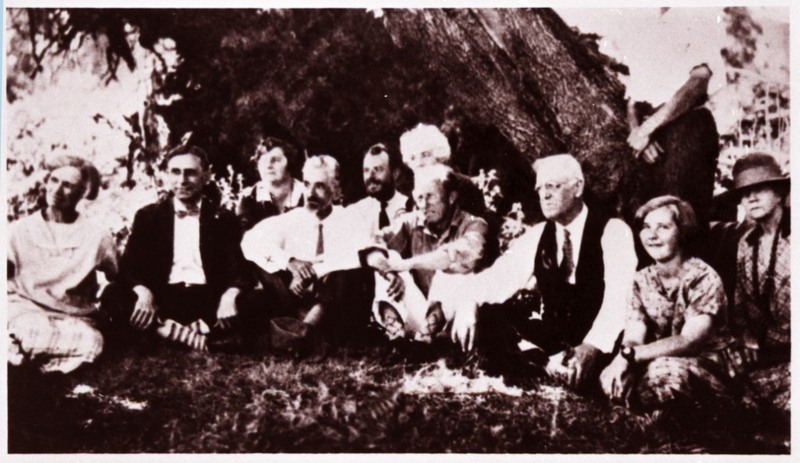 Who were Brother XII’s followers? From shocking stories like the family that belonged to another cult to the surprising people who left well-respected careers in Canada and England to live at Cedar by the Sea. A number of wealthy Americans joined the colony including a lumber baron, the Poultry King of Florida and an heiress. Join Curator Aimee Greenaway for a presentation on the stories behind the people who supported one of the most infamous cult leaders in Canadian history and what happened to them after Brother XII left town. The talk runs from 6:30pm – 7:30pm on Tuesday, October 16th. Pre-registration is required and the cost is $15 per person. Book online or in person! Tickets purchased for this presentation after September 19th are final sale, and non-transferable to other presentation dates. To book online for the October 16th presentation, fill out the form below & complete payment through Paypal. *Please note – you do not need to have a Paypal account to complete registration online, credit cards are accepted. Tickets are not confirmed until you have received payment confirmation from Paypal.